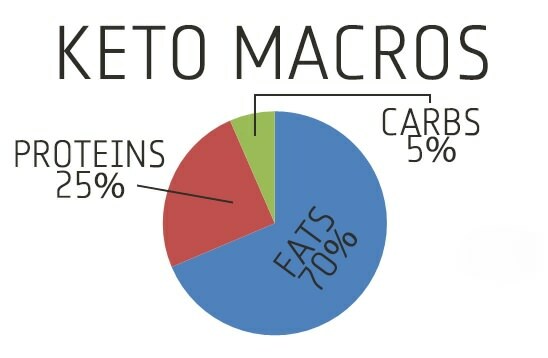 What are Macros and Why Are They Important? | Keto Recipes! Home Keto FAQ What are Macro-Nutrients and Why Are They Important? I put a poll up on the Facebook group asking if people tracked their macros. Well I was surprised with the results and realized that almost half of the people that answered had no idea what macros were. So I thought it’s best I do another write up and explain what macros are and how they will help you lose weight with Keto or other High Fat Low Carb lifestyles. Nutrients are environmental substances that are used for energy, bodily functions and growth by organisms. Depending on the nutrient some of them are needed in small amounts and some are required in large amounts. Macro nutrients are required in large amounts and Micro nutrients are needed in smaller amounts. There are three main macro-nutrients required by the body to function. Every weight loss program/diet/lifestyle works by limiting the total amount of calories you eat, it’s just simple science, Keto is no different however due to the macronutrient makeup of a ketogenic lifestyle it’s quite easy to stay in a caloric deficit and lose weight. Most people do not need to count calories while in ketosis because they just naturally start consuming a normal healthy amount of calories. Each of these nutrients have different effects on ketosis due to the way they are digested and the resulting effects on blood glucose and hormones. So with that both carbohydrates and protein will impact the development of ketosis. While fat intake has a rather minimal effect on ketosis, Basically how much fat you eat will affect how much of your stored bodyfat will be used for fuel. So that’s why we aim for a deficit in caloric intake so that our body needs to make up the rest and it takes it from our stored body fat. It is important that your macros are custom to you, What works for someone else,may not work for you. Please use the calculator and discuss any concerns with your healthcare professional. The easiest way to calculate your macros that you need is to input your data in the Keto Calculator and screenshot or write down your results for later. Check the comparison pictures and try to estimate your body fat accurately or better yet get your body fat tested. Aim for 30g of carbs a day or lower! Start with 20% fat deficit and see how you go for the first week. If you use My Fitness Pal, now is a good time to go update your custom goals with the results from your calculator. Percentages in MFP and above is calculated for calories! I hope this helped you work out what macros are and maybe understand how your body works a little better. If you haven’t already read them check out some of my other keto related write ups.